Bel-Ray Company Inc. announced that it has appointed the Yellow Marine Consultancy for sales representation in Europe, South Africa and the Middle East. For more than 60 years, the Bel-Ray Company has produced high performance marine lubricants for everyone from the United States Navy to the largest manufacturers of outboard marine engines. Specialty lubricants have been produced, engineered and developed for virtually every marine application, with products for two-stroke, four-stroke and diesel engines in outboard, inboard, stern drive and jet drive systems. Gear oils and service lubricants are included, completing a product line that meets all marine lubrication needs. 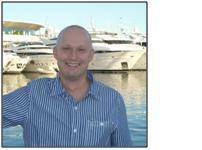 The Yellow Marine Consultancy Ltd. was founded by a marine industry veteran, Christopher Yellow. His 32 years of experience in identifying and establishing strong distribution partners has driven success and profitable sales at both the OEM and aftermarket levels. The agency will represent Bel-Ray in territories that include Europe, South Africa and the Middle East.